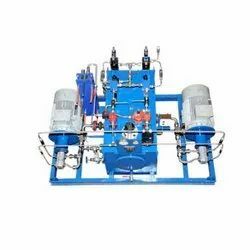 Pioneers in the industry, we offer test rig for hydraulic valves, valve test bench, automobile oil pump test rig and hydraulic driven unit for solid-liquid separation from India. 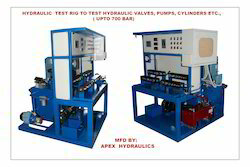 We are able to gain immense expertise in delivering Test Rig for Hydraulic Valves to our clients. The offered range of test rig for hydraulic valves is made utilizing high grade raw material such as brass, carbon steel, mild steel and duplex steel, sourced from trusted vendors of the market. Along with this, the offered range is known for handling pressure and flow of hydraulic fluid in hydraulic systems that run by electricity. 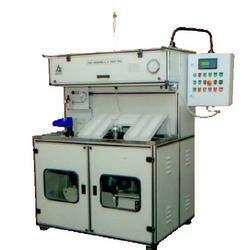 We are offering Valve Test Bench to our clients. Uniquely designed to suit your specifications & testing requirements. We are offering Automobile Oil Pump Test Rig to our clients. We are offering Hydraulic Driven Unit for Solid-liquid Separation to our clients. Looking for Hydraulic Test Rigs ?